Every Android app has a unique application ID that looks like a Java package name, such as com.example.myapp. This ID uniquely identifies your app on the device and in Google Play Store. If you want to upload a new version of your app, the application ID (and the... guy's there is a problem with android studio.I make a splash screen in Manifest then I run the app in emulator the app name is splash.see the screnshot. 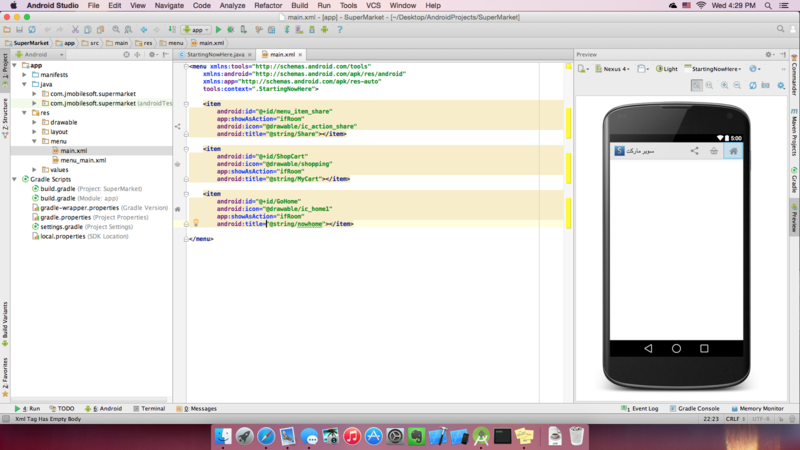 guy's there is a problem with android studio.I make a splash screen in Manifest then I run the app in emulator the app name is splash.see the screnshot. Right click on the APP package on top left side , make sure it is the same app for which you want to change the icon. after clicking on it ,go to NEW and then to "image asset" option.